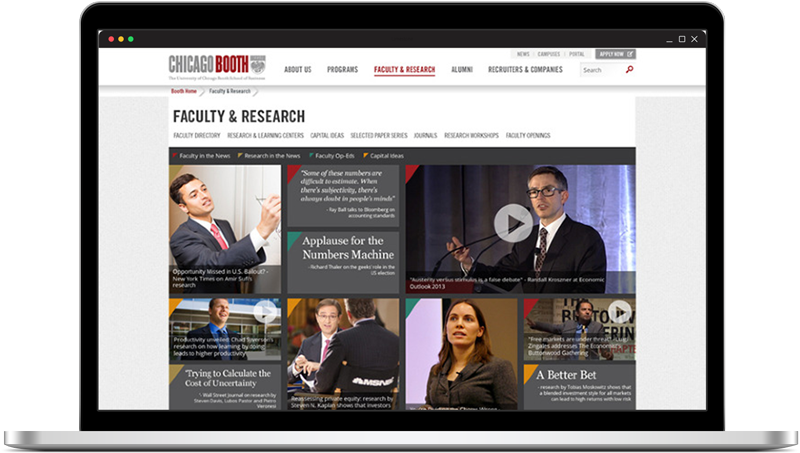 The University of Chicago Booth School of Business required a portal to demonstrate the enormous amount of influence the faculty had by way of the research being produced. The portal was powered by a Sitecore backend and allowed the faculty team to easily update the site with frequent articles and videos related to the research. The articles could be sorted and easily scanned by the user, with poignant quotes and arresting imagery driving attention to the research. 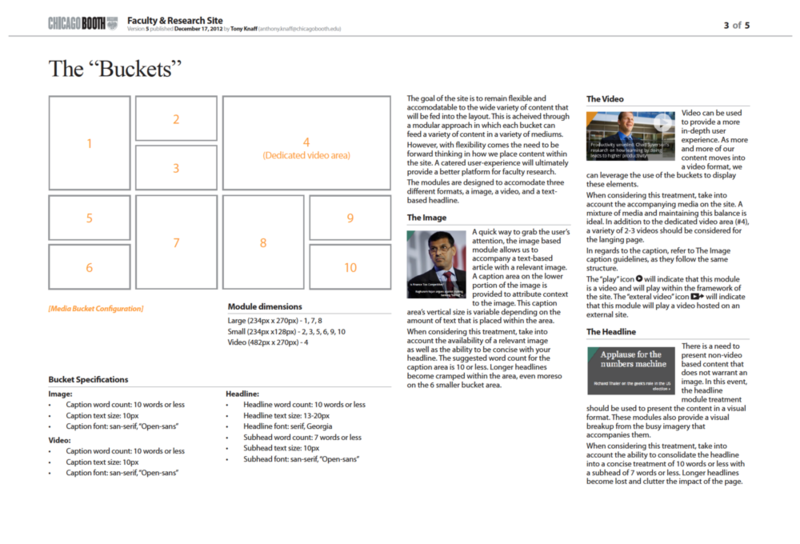 A creative brief was also created to assist the faculty team in maintaining the visual impact of the site after handoff. This brief covered aspects spanning UX fundamentals and how they align with the overall marketing initiatives for the school.